Betterment reached out to our community neighbors, Maurice “Shorty” and Judy Gionet in their time of need. They both have required a wheelchair and have had a lot of health problems for many years. 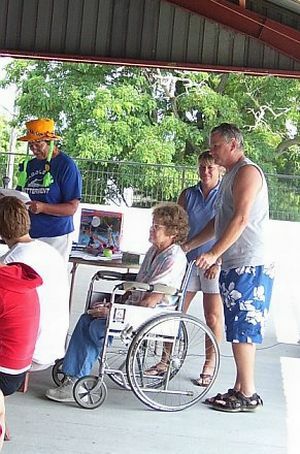 Betterment was able to give the Gionets $3500 to purchase a second wheel chair and help pay for living expenses. If you are familiar with the Alexandria Bay area, you know “Shorty” and Judy owned a business in Alexandria Bay and they and their family have contributed all of their lives to our community and now through Betterment, we have the opportunity to give back to them. We are sad to report that a short time after the Paddle, "Shorty" passed away. Our thoughts are with Judy and her family. Sadly, Judy has also since passed.